When school gets out and summer begins, there’s always that one fresh pair of shoes you save for the memorable skate trips, road trips, and homie sessions. 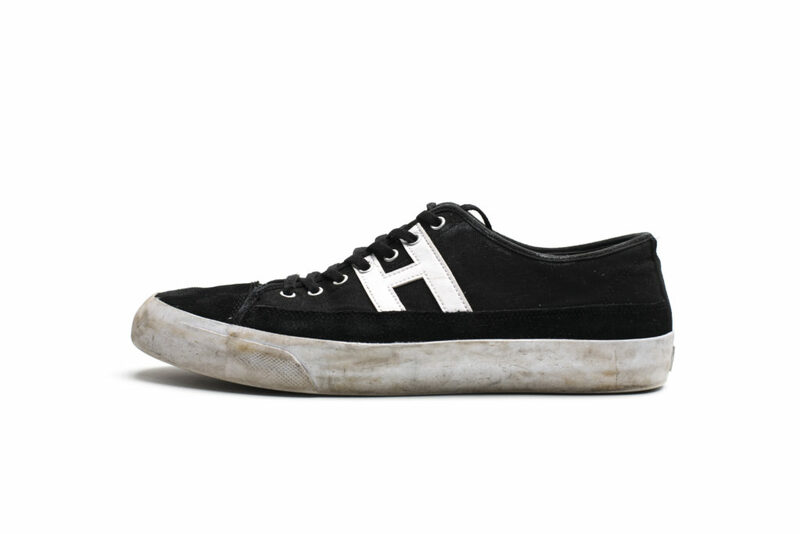 For us, that was the newly introduced HUF Hupper Lo. The HUF Hupper 2 Lo is a revamped design that draws inspiration from the Hupper “Numero Uno” released back in 2010, which features a wider range of technical elements strategically placed throughout the vulcanized model. Originally the Hupper model was released as a high top, and was one of the first models introduced as part of the HUF footwear line. Only 111 pairs were made and were only sold in their SF and LA flagship stores so getting your hands on a pair was no easy task. Over these seven years, HUF did what many apparel companies have tried yet failed; they’ve branched and grown a strong footwear lineup with a heavy skate team to back it. This move from apparel to footwear deserves it’s own recognition. In early 2017, Hufnagel and the company footwear designer Hayden Biener released a three minute clip introducing the Hupper 2 and it’s anatomy, breaking down all the technical elements of the shoe and also introducing a few new hidden gems. They stripped apart the whole shoe and analyzed which parts could be improved and enhanced to better fit skater’s needs; this is their ironically named T1-KCUF reverse engineered technology. The good guys at HUF sent us a pair and let us do some work to the shoe to see if Hayden’s design stood up well against the abuse. We took our time with this review because even after our 10-hr weartest, we kept on skating them and still couldn’t break through the suede and canvas. 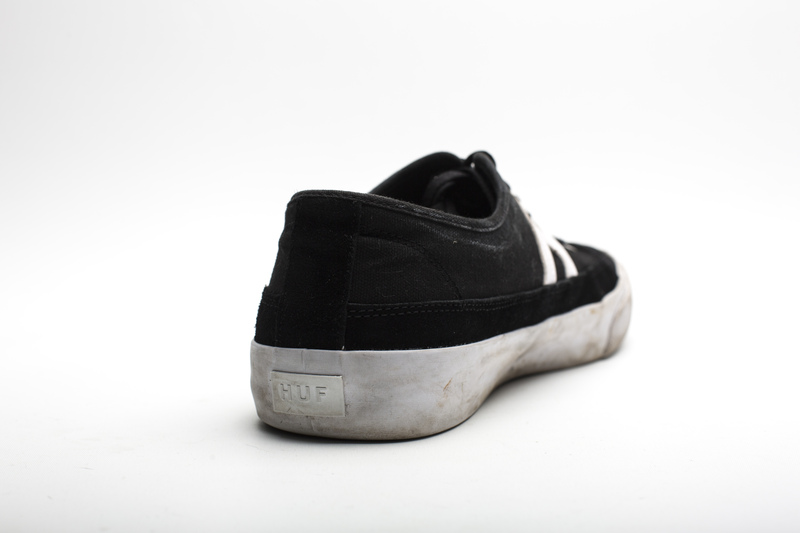 Read on below to see how the HUF Hupper 2 Lo’s raised foxing tape did for our durability test. 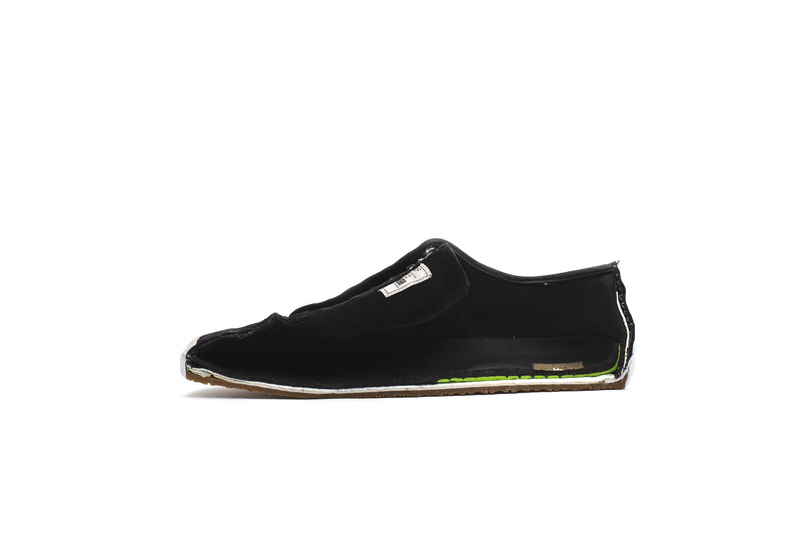 The HUF Hupper 2 Lo fits true to size. Despite it’s clean and minimal look, the HUF Hupper 2 Lo boasts quite a successful combination of durable materials and design elements. Although it’s not extremely technical in what they have added, the attention to detail and simplicity of its innovation proves to outlast longer when compared to other shoes. From the ground up, the profile of the 3D foxing tape was much higher than other vulcanized models, which helped a lot by directing most of the griptape abuse towards the foxing tape tape itself and away from the kickflip hole area. With that often seen kickflip hole in mind, Huf added more reinforcements with a rubber shield ollie barrier right above the foxing tape, to have a stronger layer of defense just in case that foxing tape wears off. In our model, and also some other models found in the Hupper 2 line, the ollie shield barrier is a strip of high quality suede. During the weartest, there was a bit of abuse towards it, but no wear and tear that broke through the layer, which meant there was a lot of life left in the shoe. Above this rubber shield component of the shoe, there lies a canvas sidewall that was quite sturdy and had no abuse from the weartest. The toe panel itself is made from the same material as our ollie shiel area, which was a high quality suede but well reinforced to provide a sturdy protection over your toes. Durability was a big plus for us with this shoe, with the only drawback being that the shoelaces ripped apart quite fast. Most HUF models we’ve tried opt for better boardfeel, lighter construction and don’t have too much of an emphasis on cushioning protection. However, with the Hupper 2, HUF decided to add in their trademark insole dubbed the “Dual Density Perf Shock” insole to combat impacts from jumping stairs and gaps. The insole itself is made of EVA foam, which means it traps pockets of air in different densities to provide rebound and impact absorption. 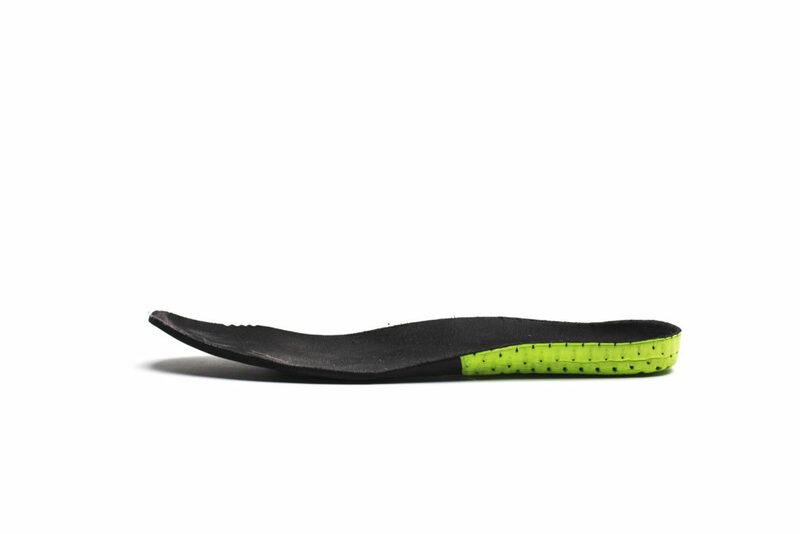 In this case, the second density of EVA appears as the neon green over lay that stretches from the heel to the midfoot. 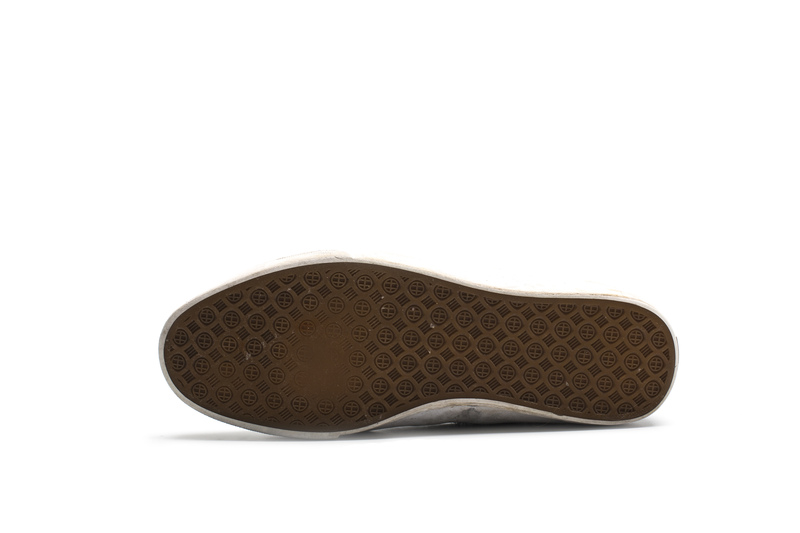 For the insole, the heel and toe area have very minimal padding which is meant for more boardfeel, while the midfoot area is much thicker and is designed to absorb most of the impact. The shoe is quite suitable for jumping down 7 stairs but trying tricks down anything more will leave your toes hurting for a bit. As a vulcanized model and similar to the predecessors in the HUF footwear line, the Hupper 2 has a heavy emphasis on boardfeel. Although cushioning is important, HUF made sure to not over do the shoe with cushioning elements in order to retain the original boardfeel the HUF shoes had from before. As a result, the insole of the shoe is well balanced, with an emphasis of cushioning in the midfoot, and more boardfeel in both the toes and heels. 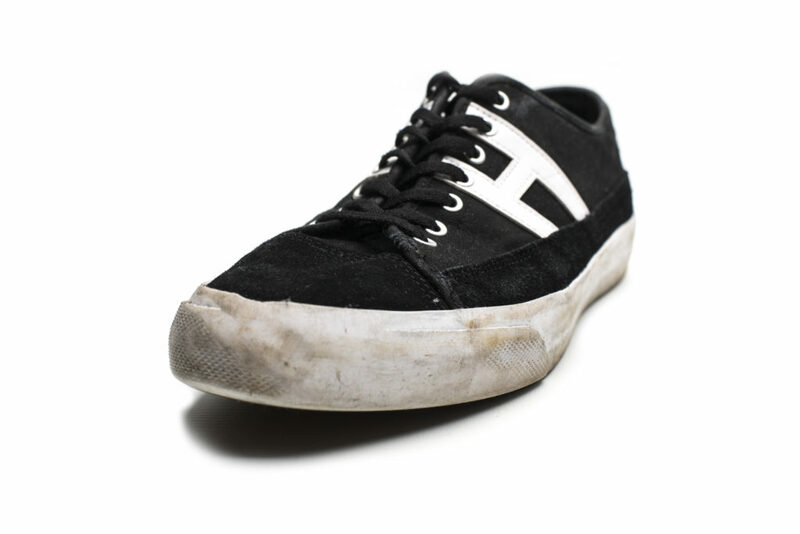 As for grip, the shoe was introduced with HUF’s newest “Infinity Rubber” for the outsole which was marketed as a newly formulated rubber compound that would be more durable and grippier than standard rubber formulas found in the market. When it came to the weartest, the shoe proved to be extremely grippy, with no blow out spots in the sole at all. In addition to the foxing tape, an added layer of Infinity Rubber circled around the toe cap, which had a diamond shaped tread pattern that helped with more grip with flip tricks. All in all, the grip of the shoe was quite satisfactory. The shoe was a bit stiff and clunky at first; it took some time to fully break in the rubber outsole and also the sidewalls, but after a few sessions the shoe’s fit became extremely comfortable. As aforementioned, the shoe was wider than most shoes, possibly due to the minimal padding on the sidewalls. As a result, we had to tighten the shoes to ensure better stability and structure. With that said, the sidewalls of the shoe were extremely stable and held up the shoe’s structure very well. 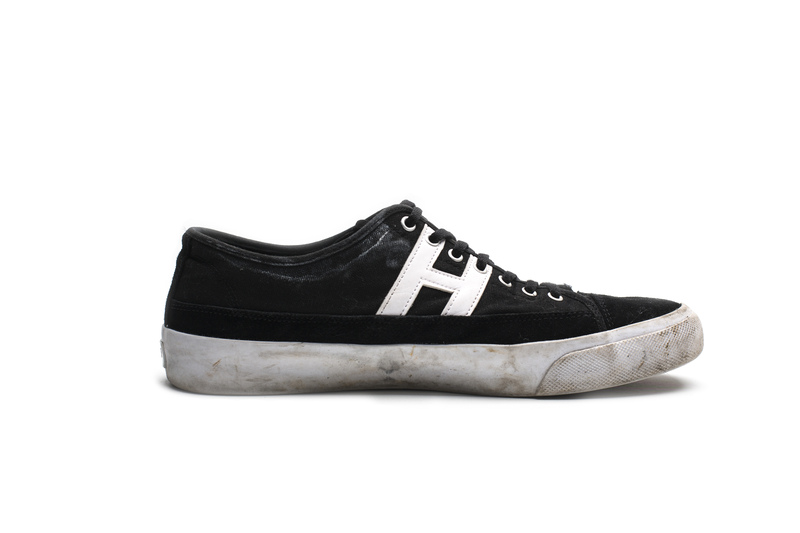 The side quarter panel of the shoe had a rubber insert that stretched to the H logo, which helped with durability and more importantly, stability. The sidewalls and tongue didn’t have any perforations, which made the feet way more sweaty, as can be seen by the sweat lines marked onto the shoe. One aspect of the shoe that turned out to be an added plus was the shoe’s high foxing tape; the foxing tape rose higher which provided the sidewalls and feet more stability so once adjusted to the weight distribution of the shoe, the chances of ankle rolls are minimized. The HUF Hupper 2 is a wonderful addition to the HUF footwear line and packages some innovative design elements into a minimal silhouette. The shoe killed the game in durability, stability and grip, but leaves us wishing for more when it came to cushioning and comfort.